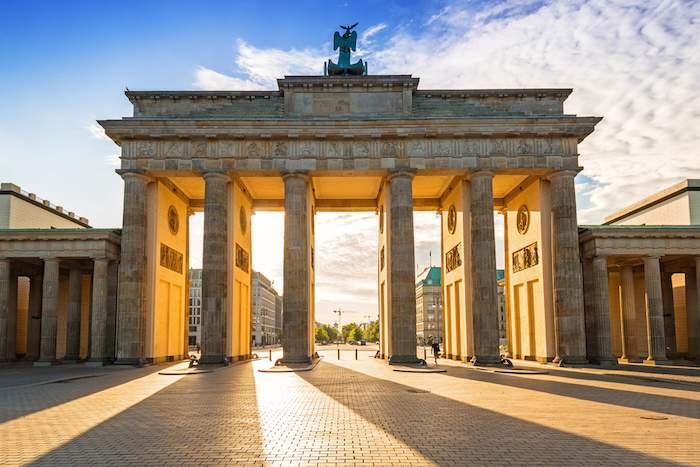 Berlin is already among the more affordable of the big European capitals. But what to do if you’re on a tighter than an already very tightly laced shoestring budget? Here we list all the things you can do, attractions you can visit and fun times you can have – all without costing you a single Euro. Berlin has more than its fair share of history, which has left the city with several iconic monuments – all are free to view. Brandenburg Gate: This icon of Berlin was built in 1791, as the royal city gate. Throughout German history the neoclassical monument has been the backdrop to huge amounts of upheaval and conflict. Today though, it’s thought of as a symbol of unity and peace. Many German celebrations focus on the Brandenburg Gate. It’s the centrepiece of the fireworks on New Year’s Eve, and the finish line for the Berlin marathon. 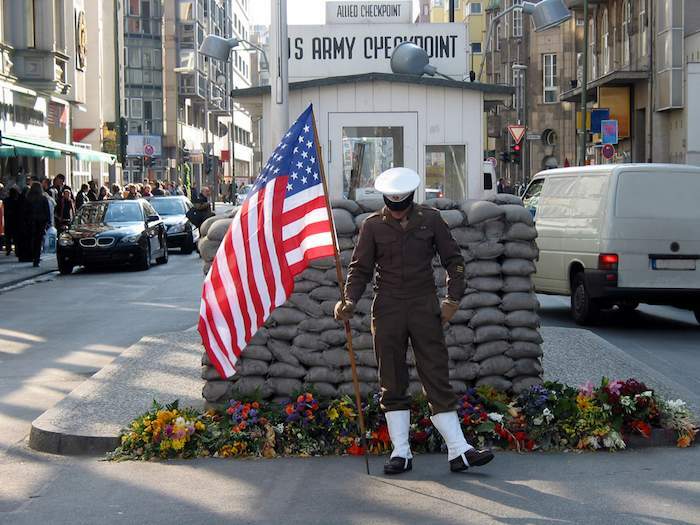 Checkpoint Charlie: During the division of Berlin, Checkpoint Charlie was one of the few gateways into the western part of the city. Today a recreation of the guard house stands on the site of the border crossing. While this can feel quite touristy, with many visitors posing for pictures, the surrounding area is full of information about what Checkpoint Charlie symbolises. Blown up photographs explore the checkpoint’s history, and a nearby exhibition, BlackBox Cold War, is full of information about the tensions between the east and west. 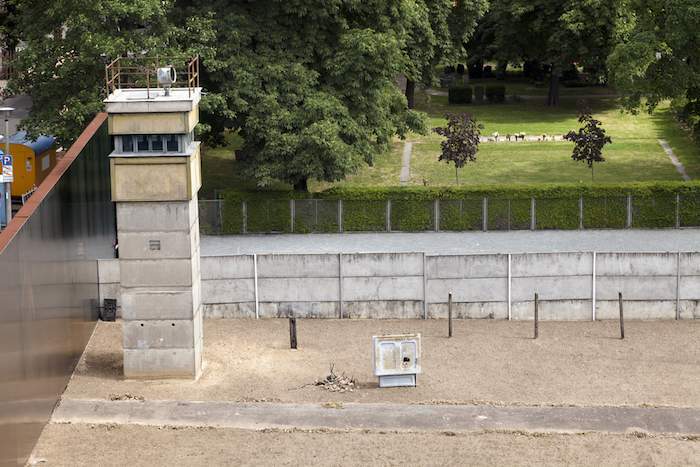 Berlin Wall Memorial: A 60-metre section of the wall near Bernauer Straße has been preserved as a memorial to the city’s past division, and all the lives it affected. It’s the only section of the wall which retains the full cross section, allowing visitors to see how the wall was really a full border strip by the 1980s. The memorial also encompasses an outdoor exhibition on the history of the wall, a Chapel of Reconciliation and a visitor’s centre with a viewing platform. 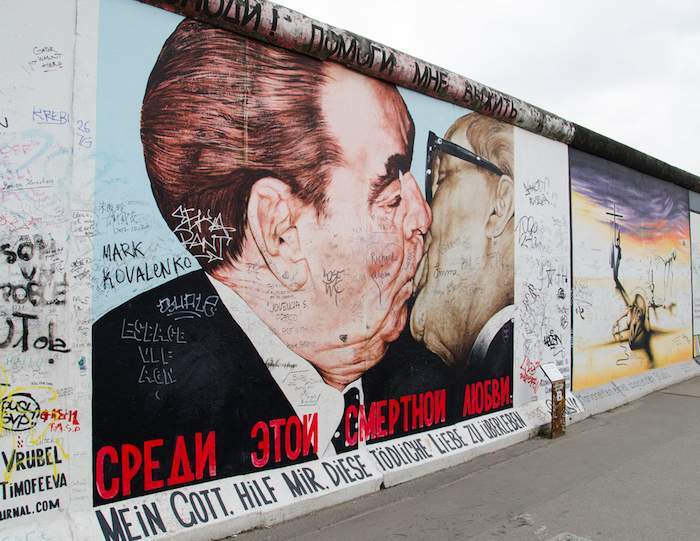 The East Side Gallery: The longest remaining stretch of the Berlin wall is one of the city’s most famous attractions. Shortly after the first bit of wall fell, the newly reunified city asked over 100 artists to turn this length into an open-air gallery. You can spend hours exploring those works today. The colourful murals are a celebration of peace, love and freedom. Plus a healthy dash of politics too. The Holocaust Memorial: It’s impossible not to be affected by the Holocaust Memorial, a commemoration of the six million Jews who died in the Holocaust. The memorial is made of 2,711 concrete blocks set on uneven ground. It’s a vast undulating structure where you can fully immerse yourself, rather than there being one focal point of remembrance. While the biggest museums and galleries in Berlin do have entrance fees, there are plenty of fascinating attractions across the city which are free. You could see above the German Parliament or head somewhere completely quirky, like the Museum of Unheard Things. For a thorough list of all Berlin’s museums with free entry, check museumsportal Berlin. Inside the Reichstag’s Dome: The glass dome that sits on top of the German parliament building is completely free to visit. Though some forward planning is necessary, as you will need to book well in advance. 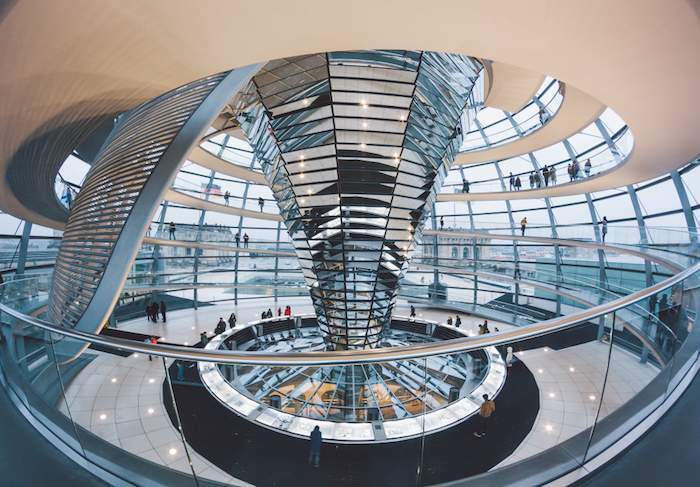 The glass dome was designed by Norman Foster, and after you collect a free audio guide you can wander up and down the dome on a spiralling ramp, learning about the workings of German parliament, the building and the other famous sights nearby. You can register for your visit here. 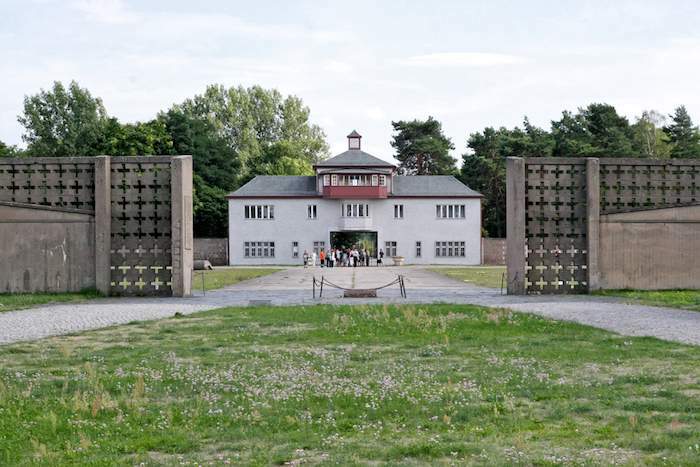 Sachsenhausen Memorial and Museum: Set to the north of Berlin, this former concentration camp doesn’t shy away from the horrors of the Third Reich. The site remains as a memorial to the thousands of people interned and killed there, with exhibitions focusing on prisoners’ everyday lives and the camp’s methods of mass murder. The site was also used as a Soviet concentration camp, with much the same horrors.It’s not an easy visit, but it is an important site exploring and remembering Europe’s past. 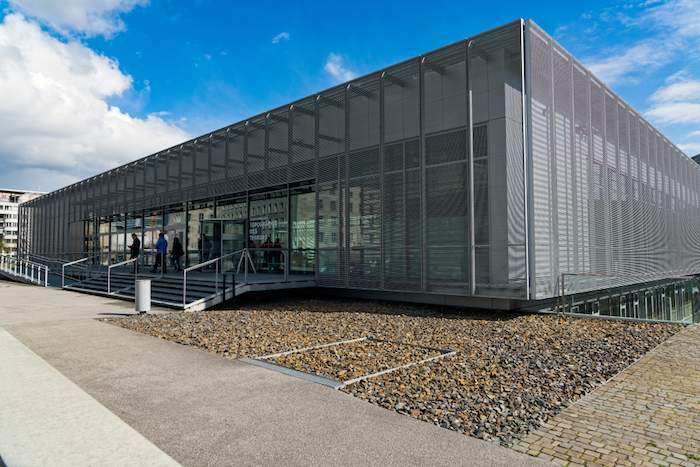 Topography of Terror: Set on the site of the former Gestapo, SS and Reich Security Main Office, this museum looks back at the terror and persecution of the Nazi years. Through photos and documentation, the exhibitions tell the story of Nazi institutions of terror: the SS and the police. The crimes they committed across Europe are laid bare, and maps reveal more sites of command stations and where atrocities occurred. Museum of Unheard Things: This small museum showcases a motley collection of artistic, scientific and technical objects. Artefacts range from a fur of a Japanese Bonsai deer to a stone that inspired Thomas Mann. Each object is accompanied by a story, delving into fascinating facts and histories which could otherwise go unheard. Daimler Contemporary Berlin: This art collection was originally on display within the car manufacturing company. However since 1999, the 600-metre exhibition space in Potsdamer Platz has been open to all. The 1,500-piece collection focuses on important art movements from the 20th century onwards, so you might see works from the Bauhaus movement, minimalist pieces or video art in their latest exhibitions. There are several free walking tours of Berlin. However, while there’s no upfront cost, your guide will ask you to tip them whatever you think they’re worth at the end of the tour. If you’re happy with that small donation, there are some great tours to check out. 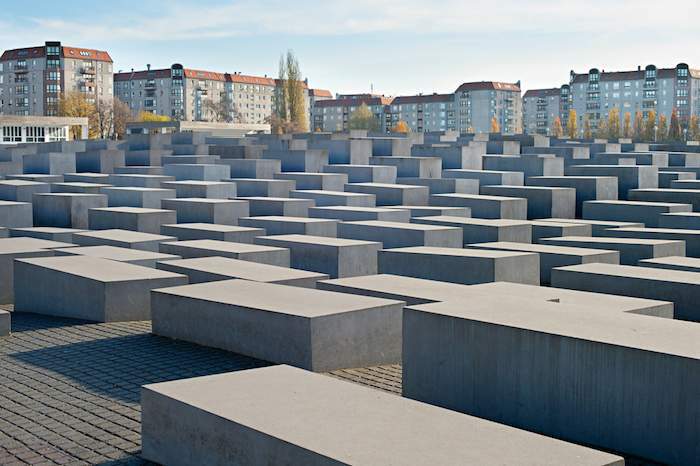 Visits: Classic tour of Berlin’s major sites. Starts at Alexanderplatz. SANDEMANs NEW Europe – two and a half hour tour; 10am, 11am, 12pm, 1pm, 2pm, 4pm. Visits: Classic tour of Berlin’s major sites. Starts at Brandenburg Gate. Brewer’s Berlin Tours – two and a half hour tour; 10.30am, 2pm. Visits: Classic tour of Berlin’s major sites. Starts near Friedrichstrasse Station. Alternative Berlin Free Tours – three-hour tour; 11am, 1pm, 3pm. Visits: Artists squats, multicultural neighbourhoods, street art, markets and more. Starts at Alexanderplatz. If you’re less concerned with seeing stuff, but would prefer to simply soak up the atmosphere of this vibrant city, try these spots across Berlin. You can while away a couple of hours strolling, chatting and seeing sights at your own pace. Prinzessinnengarten: Tucked away on a former wasteland in Kreuzberg, you’ll find this community garden, open to all. A collective grows organic vegetables, cares for bees and runs workshops on urban gardening. It’s not a big space; it’s about the size of a football pitch. But it’s a wonderful oasis in the heart of the city where you can grab a coffee from a shipping container cafe, and climb the timber Arbor structure for a bird’s eye view. Museum Island: Museum island is where you should head for your traditional culture fix in Berlin. The five museums here include the prestigious Altes Museum and the Neues Museum, where you can see the famous bust of the Egyptian queen Nefertiti. All the museums cost to enter, but if you don’t have the budget for that, the island is still a fascinating and informative place to wander. The architecture of the five museums is magnificent – so much so that the island complex was declared a UNESCO World Heritage Site. There’s still restoration work ongoing on some of the museums, but you can marvel at the Acropolis-inspired Alte Nationalgalerie and imposing Pergamonmuseum. 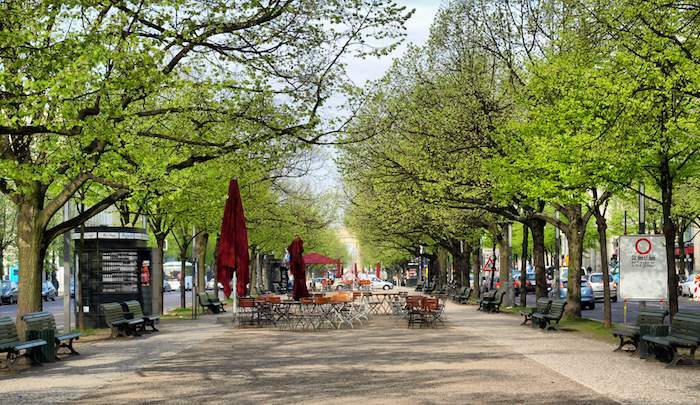 Unter den Linden: This boulevard translates as “under the linden trees” and as that name suggests, it’s a lovely tree-lined stroll for a day in spring or summer. 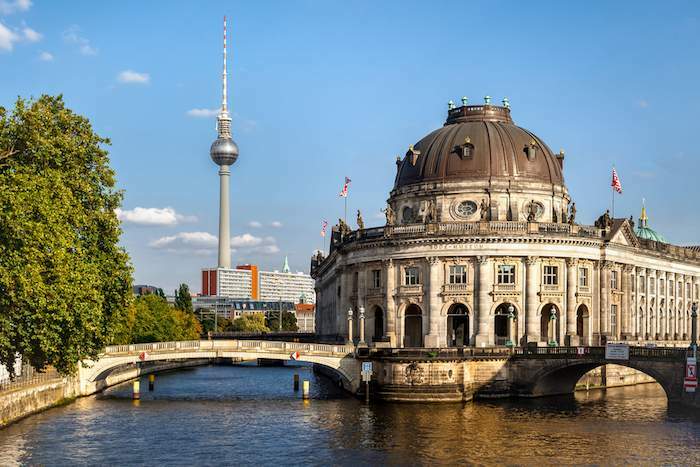 You’ll pass several prestigious buildings including the Humboldt University, the State Opera and various embassies. Landwehrkanal: During the summer the banks of the Landwehrkanal become a popular spot for the population of Berlin to gather. If you want to join them you’re very welcome. Grab some drinks and wander until you find a spot on the green area along the south bank. Charlottenburg Palace Gardens: Charlottenburg Palace is the only royal residence remaining in Berlin. You would need to pay if you want to see the lavish interiors, which are now home to several museums housing the palace treasures. However the gardens are also especially picturesque, and cost nothing to visit. You’ll be free to stroll the carefully laid out baroque gardens, stumbling across mausoleums, pagodas and admiring the palace exteriors. Berlin is an incredibly green city, and almost every Berliner will have a favourite park to hang out in. All summer long you’ll find them in the park, tanning, picnicking and playing games. 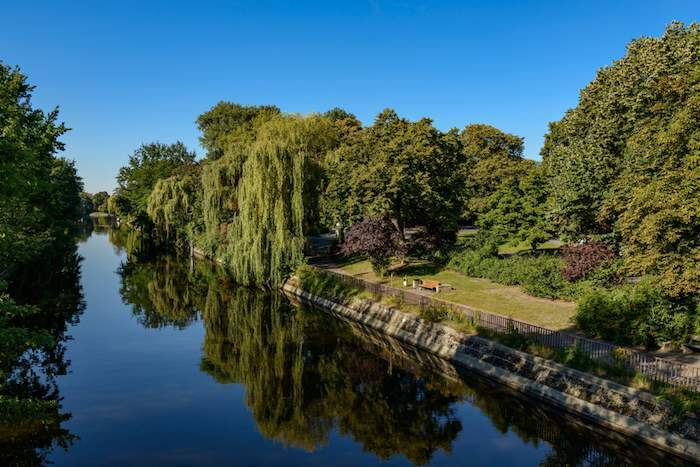 Any green space on the map will do – but there are some especially iconic parks too. 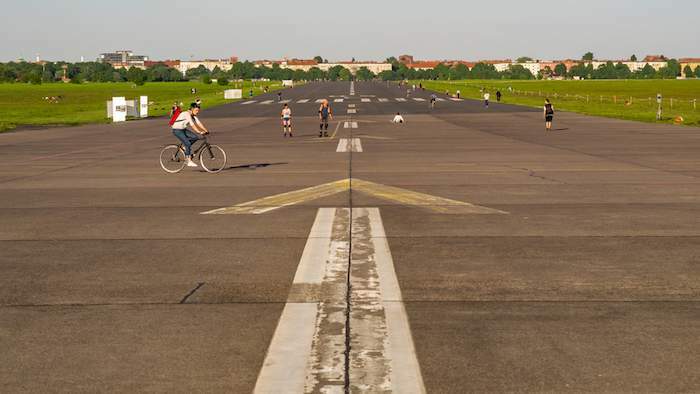 Tempelhofer Park: This vast park is set on the site of west Berlin’s former airport runway. The massive park covers 386 hectares, where you can picnic with views of the old airport terminal and watch kitesurfers making use of the runway. Mauerpark: Mauerpark was once the ‘death strip’, a piece of no-man’s land dividing the east and west of Berlin. Today it has been re-invented as a popular hangout spot with sections of wall alive with street art and a busy flea market every Sunday. Tiergarten: Probably the most famous Berlin park is Tiergarten, set right in the centre of the city. This forested park is lined with paths and studded with lawns. It’s home to many famous memorials, and surrounded by even more. Volkspark Friedrichshain: This was Berlin’s first public park. Today its 49 hectares pack in not just greenery, but beach volleyball pitches, a climbing wall, a pond and a fairytale fountain. Its centrepiece though is the open-air stage, which shows films throughout the summer (unfortunately not for free). 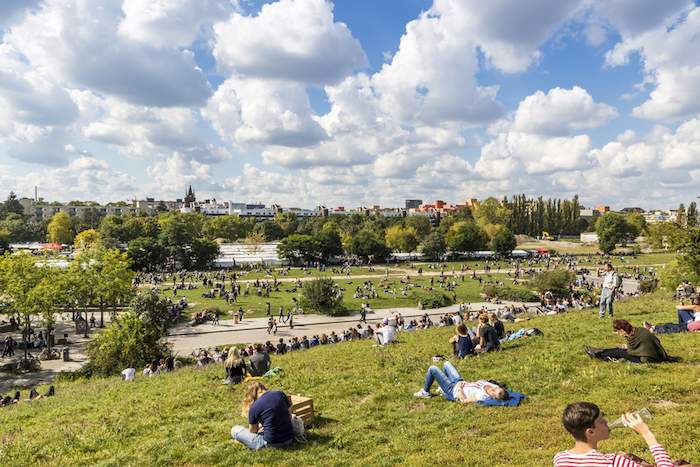 Viktoriapark: Berlin is a flat city, so for the highest natural elevation and view head to this park in Kreuzberg. 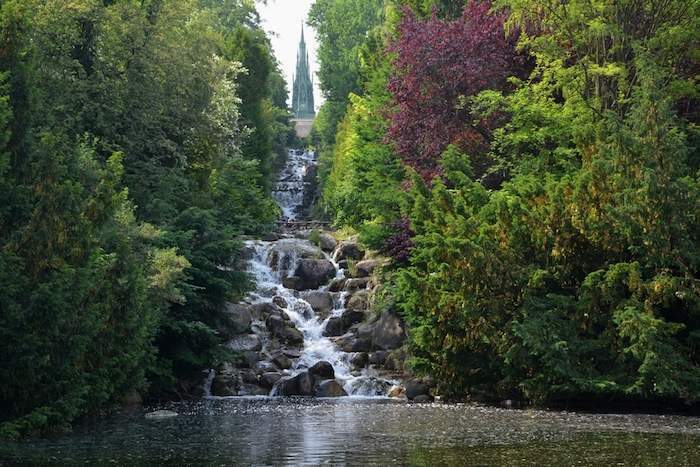 You can pack a picnic to accompany the view of west Berlin and walk along the park’s waterfall. Treptower Park: Head here for riverside walks and relaxing on lawns. This 84-hectare park contains winding paths, a rose garden and Soviet war memorial. But for many the highlight is the views of the river where canal boats are moored, pedalos are hired and you can cross an old bridge to the Island of Youth. If a park sounds good, but it’s an especially hot day, swimming in one of the city’s lakes is your answer. The lakes below are free to jump in, but there are many, many more across Berlin. Some lakes have a lido or beach area which you’ll have to pay to enter. But swimming elsewhere in the lake will be free. Note there are no lifeguards on the free areas, so only swim within your ability. Müggelsee: This is Berlin’s largest lake, measuring in at four kilometres long and two and a half wide. It’s so big you’ll have a choice of several spots to bathe. 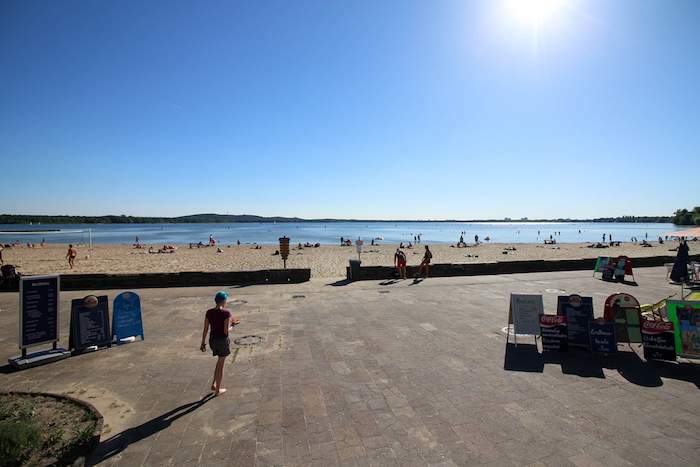 Lido Müggelsee is great for families as the water is shallow there. Small Müggelsee has a sandy beach. Or there’s the nudist beach, if that’s what you’re into. There’s also Seaside resort Friedrichshagen, but there’s a charge to bathe there. 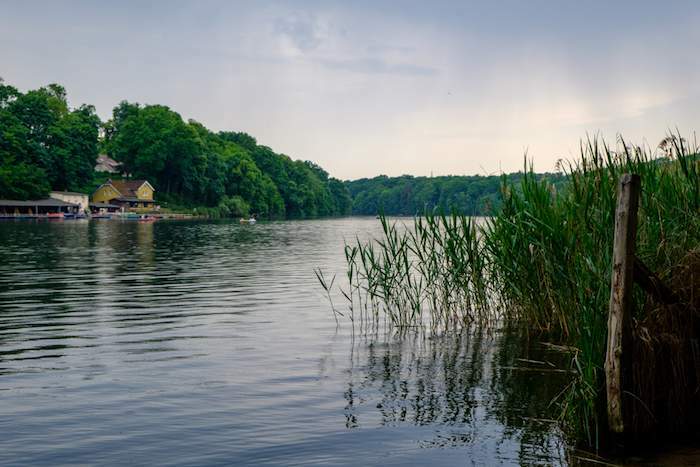 Schlachtensee: This lake in south-west Berlin is surrounded by forest and known for its clean water. You’ll find lots of small secluded coves to bathe in as you wander around this lake, as well as a bigger sandy area near the Fischerhütte. This is a popular lake to visit as it has near-direct access from the S-bahn. 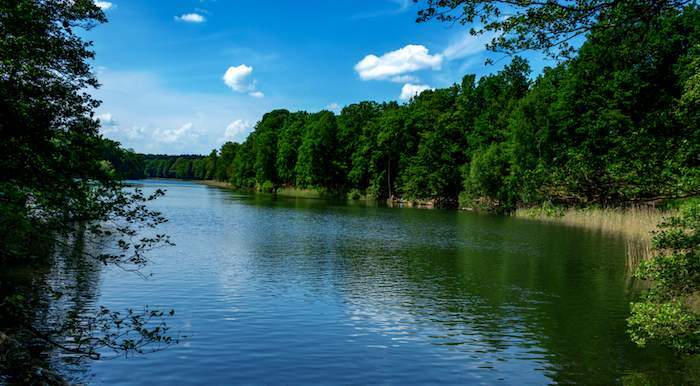 Krumme Lanke: Named for its curved shape, this popular swimming spot is surrounded by the Grunewald forest. The boardwalk running around the entire lake makes it a lovely spot to walk or run as well as take a dip. Wandering the bustling markets of Berlin is a great way to while away a pleasant hour or two, and you’re bound to see something interesting. The flea markets in Berlin are exceptional, offering everything from GDR furniture to vintage t-shirts. However, if you’re on a budget you might want to stop for the colourful food halls first… Because free samples. 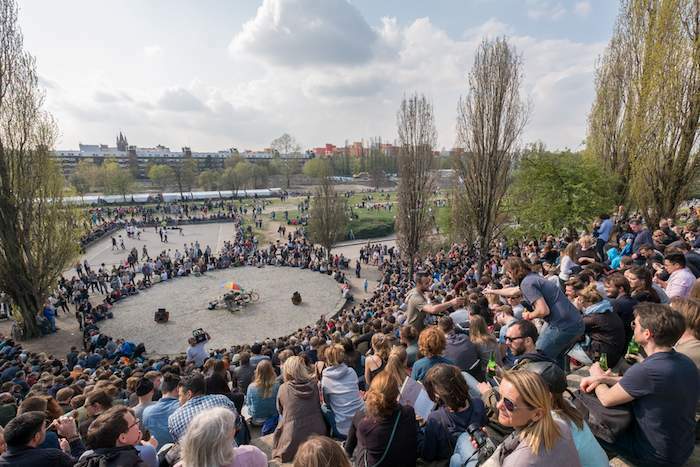 Mauerpark Flea Market: A festival-like atmosphere takes hold of Mauerpark on Sundays, when the west section of the park is taken over by a flea market. Browse the vinyls, clothes and bric a brac in the white-tented stands before catching a bit of the Bearpit Karaoke (more on that later). Nowkoelln Flowmarkt: Less-well known and less crowded, flea market stalls set up on the Maybach Shore of the Landwehr Canal. Check it’s on as it only runs every other Sunday and only in the summer. The site is also used for a fruit and vegetable market on Tuesdays and Fridays, and a textile market every other Saturday. 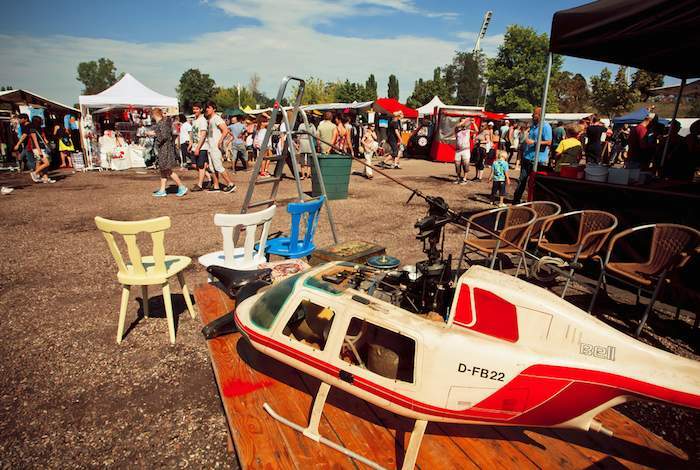 Ostbahnhof Antiques Market: This Sunday market draws both collectors and tourists. You’ll see everything from antique furnishings and porcelain works to old coins and stamps for sale here. Straße des 17. Juni: This is the oldest flea market in Berlin; it’s been running since 1978. It’s set around Tiergarten so it’s busy with both tourists and locals, and great for a day out with sausage stands sitting alongside second-hand stalls. It’s on both Saturdays and Sundays, with an arts and crafts market right next door. Markthalle Neun: Step inside this market hall and you’ll be bewildered by the delicious choices confronting you – from Italian pasta to British pies. Check what to expect as there are some special events. Thursdays is street food, while every third Sunday there’s a dedicated breakfast market. Arena Hallentrödelmarkt: Set inside a huge warehouse in the Treptower Arena complex, this market is a treasure trove of eclectic junk. You might find old photographs, GDR furnishings and the bathroom sink. It’s held both Saturday and Sunday. 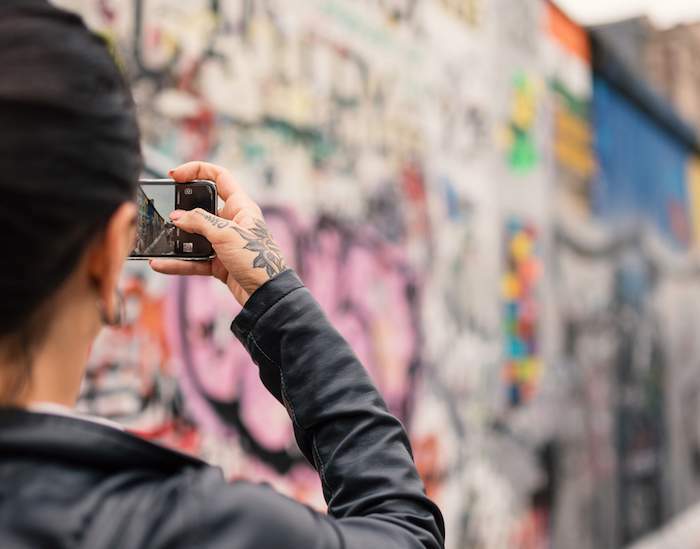 Being a creative city full of fun-loving inhabitants, there’s usually some event planned in Berlin – from festivals to art shows. We’ve named some regular ones below, but check out what’s coming up for your dates on gratis in Berlin. Bearpit Karaoke: Back in Mauerpark, the outdoor amphitheatre is the setting for this weekly public karaoke performance. Join the crowd cheering on the wannabe singers, or stick your hand up if you fancy a go on the stage yourself. It’s every Sunday from 3pm. Classical Music: Every Tuesday at 1pm (from September to June) the Berliner Philharmoniker puts on a free concert! Join them in the foyer at the Philharmonie to hear incredible musicians play for free. You’ll not only hear members of the Philharmoniker, but often musicians from the Deutsches Symphonie-Orchester and the Staatskapelle Berlin too.